To encourage generosity and community involvement, the Elsevier Foundation provides matching funds to charitable organizations that Elsevier employees personally support. Through the Elsevier Foundation Matching Gift Program, the company supports employee gifts to nonprofit agencies and schools throughout the world and extends the reach of Elsevier Foundation’s corporate giving beyond our site communities. By matching employee gifts, employee and company resources are leveraged for maximum community benefit. 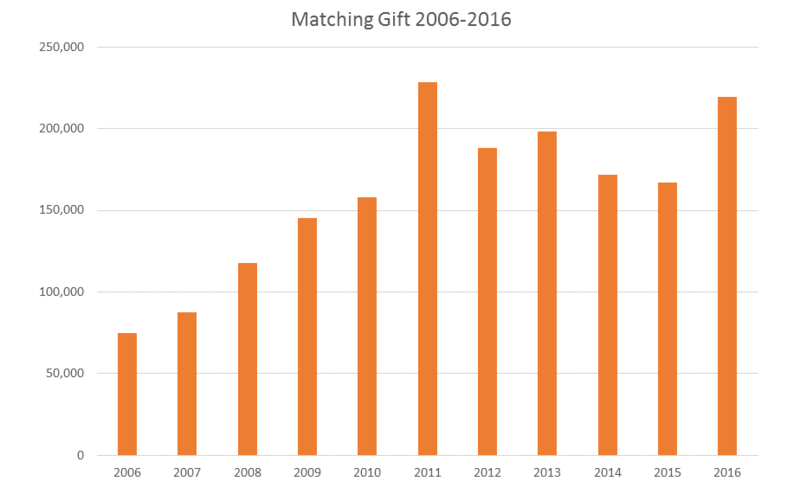 By using the Matching Gift Program, Elsevier employees can double their impact using Elsevier Foundation’s support. To maximize the impact of employee charitable giving, the Elsevier Foundation earmarks $200,000 a year for donations made by employees to eligible non-profit organizations and to support disaster relief efforts. This chart shows the total amount of donations reported by employees and matched by the Elsevier Foundation. Hit with the worst rainfall in decades, the people of Chennai saw their city flooded. As the situation worsened a global drive for donations kicked off at Elsevier, and staff found ways to help each other, confirm the safety of their colleagues, and even waded into the office to ensure end-of-year objectives were met. 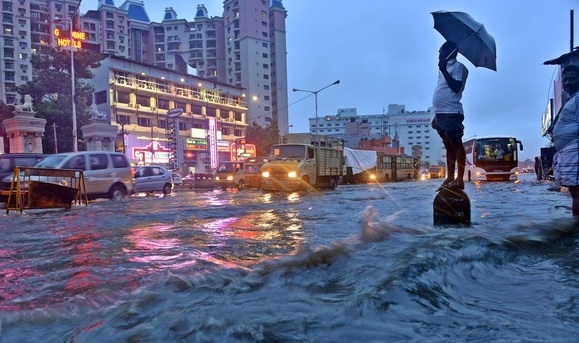 In November last year, Chennai suffered the worst rainfall it had seen for many decades. The resultant flooding caused hundreds of deaths and widespread devastation, as roads became waterlogged, and houses, offices and shops were submerged. Even as the water receded, garbage and sludge collected on the streets. Elsevier’s office in Chennai is a vital hub, employing more than 600 people. At the beginning of December 2015, Elsevier organised a company-wide drive to collect donations to support the relief effort. Contributions came in from around the globe and in total, Elsevier people raised $15,000 to help their colleagues and were able to double the match by the Elsevier Foundation Matching Gift program. Udhavum Ullangal, a charity the Chennai office has been associated with for many years, will use the money to support people in several areas and also with the reconstruction of some schools and supporting kids who have lost their books, notebooks and stationery. The Chennai office is also looking to extend their support on the Education front and help with the rebuilding of classrooms, getting furniture for the damaged schools as the kids are attending classes sitting on the floor and provide support with the purchase of beds for residential schools for the poor kids. 25% of the funds will be used to help own Chennai employees, housekeeping staff and security guards based on the extent of the damage they have incurred. The remaining 75% will go into the rehab work that we plan to do with the schools. Anita is currently working on a proposal with Udhavum Ullangal that will be finalized next week.